Mane prides itself in offering an experienced, personal and fashionable colouring service. At Mane we create unique results for our clients using TIGI copyright©olour. It provides you with outstanding grey coverage, superb shine and a bespoke finish. 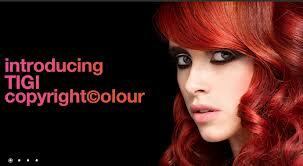 Copyright©olour allows you to have a customized colour service, creating a hair colour that perfectly suits you. Whether you’re after an intense vibrant shade, subtle tone or a super light blonde, copyright©olour can achieve it. Each shade contains Creative Intelligence, ensuring outstanding coverage on grey hair can be achieved. In addition, copyright©olour will leave your hair in great condition with exceptional shine. Book now for your customised hair colour at Mane!